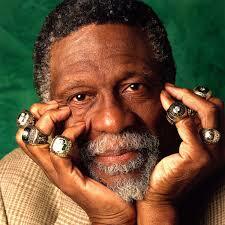 Hall of Fame basketball center Bill Russell was born in Monroe, Louisiana, in 1934. 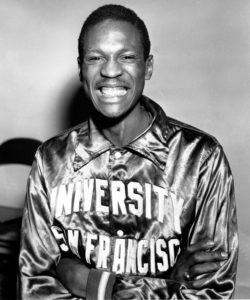 Russell led the University of San Francisco to consecutive NCAA titles before starting his pro career with the Boston Celtics in 1956. Over the course of his 13-year career, Russell steered the club to 11 titles. 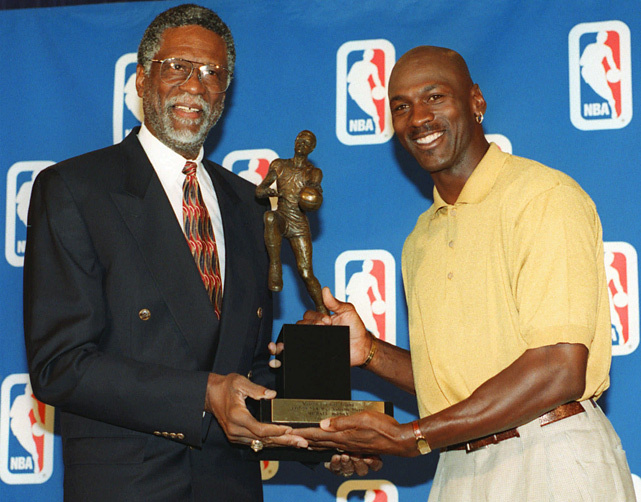 He retired in 1969 and was inducted into the Naismith Memorial Basketball Hall of Fame six years later. Considered one of the greatest basketball players in NBA history, William Felton Russell was born February 12, 1934, in Monroe, Louisiana. His early childhood was shaped by poor health, as the sickly Russell battled several different illnesses. 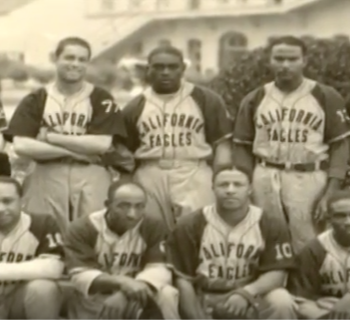 When Russell was 10, his father, Charlie, fed up with trying to navigate a racially charged South, moved his family across the country to Oakland, California, where he found work at a shipyard. In California, life for the Russell family proved rocky. While Charlie found good work, in 1946 his wife, Katie, became quite sick with the flu and died. Russell was grief-stricken by the death of his mother, who’d been his biggest advocate and pushed him to work hard in school. In the wake of her passing he committed himself to his studies. Outside the classroom, Russell began playing basketball. His talent did not immediately shine through. Athletically awkward at first, Russell struggled to find playing time on the team at McClymonds High School in Oakland. But by his senior year, his game had picked up enough to earn him a starting spot. His 6'9" frame earned attention, however. And in the fall of 1952, he tried out as a walk-on at the University of San Francisco and earned a scholarship. It wasn’t long before the defensively adept Russell proved to be dominating presence, with a scorer’s touch and uncanny ability to rebound. During his three-year varsity career, in which he led the team to consecutive NCAA titles in 1955 and 1956, he averaged 20.7 points per game and 20.3 rebounds. 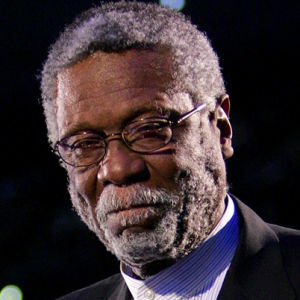 Russell capped his amateur career by leading the U.S. men’s basketball team to the gold medal at the 1956 Melbourne Olympics. 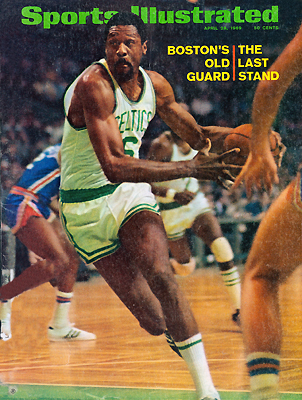 That same year, in the NBA draft, the Boston Celtics orchestrated a deal with the St. Louis Hawks and traded for the draft rights to the young center. 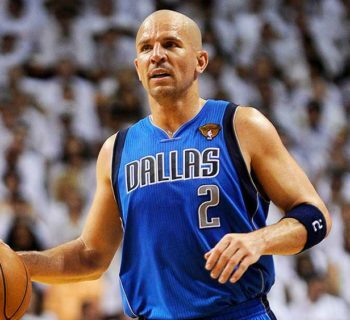 The team’s coach, Red Auerbach, coveted Russell as the missing piece to what he believed could be a championship roster. With Russell anchoring the middle of the floor, the Celtics finished with the best record in the league in 1957, and went on to win the title over the Hawks in a tense seven-game series. It was the start of an unprecedented championship run for Russell and the Celtics. Over 12 years, the team played in 11 NBA finals, winning 10 of them. 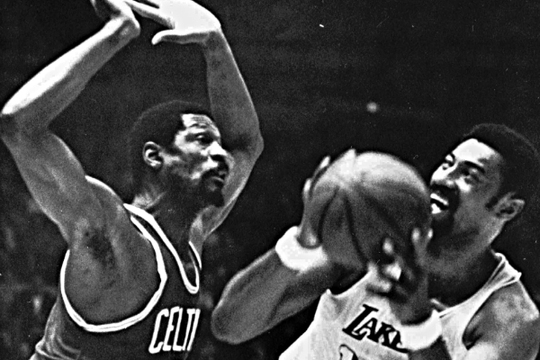 Even against more physically imposing centers, like Wilt Chamberlain, Russell was a defensive and rebounding force. Five times he was named the NBA’s Most Valuable Player, and his 21,620 rebounds are second only to Chamberlain’s career mark. He most likely would have led the league in block shots, but the NBA had not yet started keeping track of the statistic. 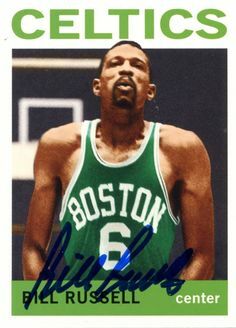 Following 1966 season, in which Russell led the Celtics to an eighth consecutive title, Auerbach retired from coaching. Rather than play for somebody else, Russell took over as a player-coach, steering the team to two more titles in 1968 and 1969. Following the 1969 season, Russell retired from the game. Over the next several decades he periodically came back to the game as a coach or as an executive, but his teams failed to win with the kind of regularity he had as a player. He last led the Sacramento Kings as president of basketball operations in the late 1980s. 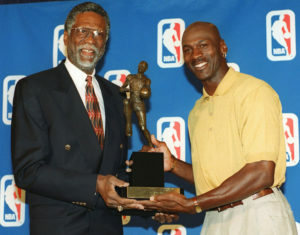 Russell was inducted into the Naismith Memorial Basketball Hall of Fame in 1975. 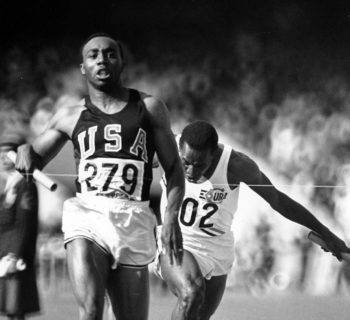 Even as he won on the court, Russell, an outspoken backer of the civil rights movement, experienced his struggles off it. He was never embraced by Boston fans in the way his white teammates were. On the road it was not uncommon for him to have to sleep in a different hotel from the one the rest of the club used. Russell has been married three times. With his first wife, Rose, to whom he was married for 17 years, he had three children: a daughter, Karen, and two sons, Buddha and Jacob. In 2010 Russell received the Presidential Medal of Freedom, the country’s highest civil honor, from President Obama.